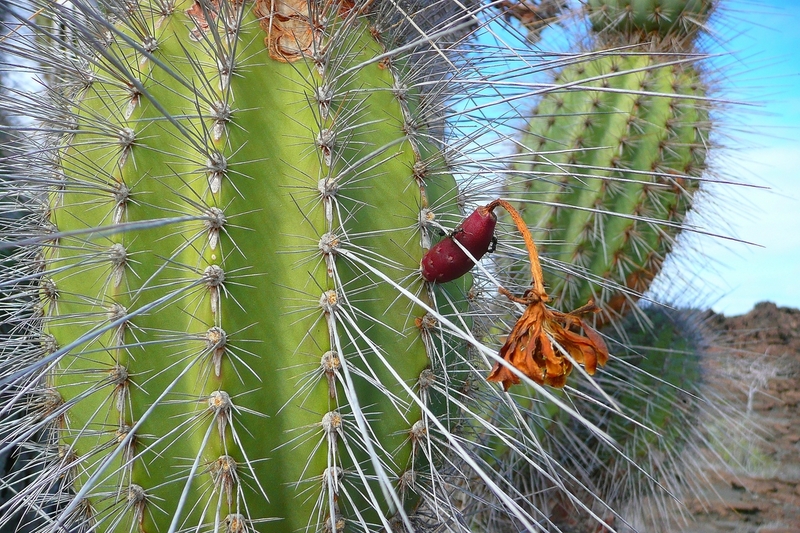 Jasminocereus thouarsii var. 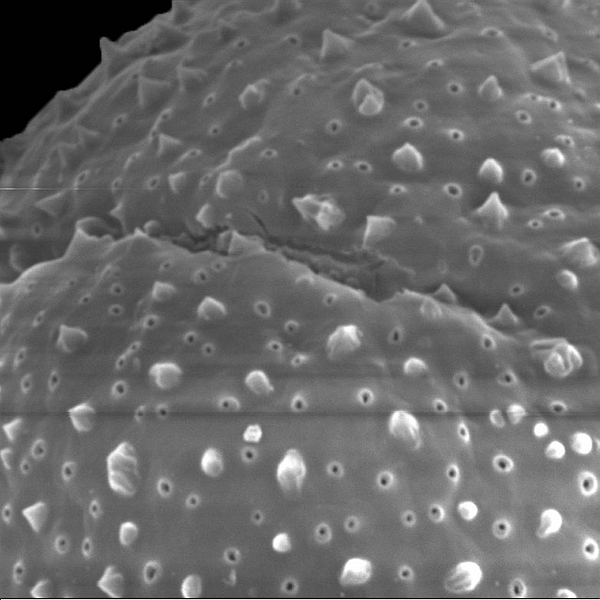 sclerocarpus (Schum.) Anderson & Walk. 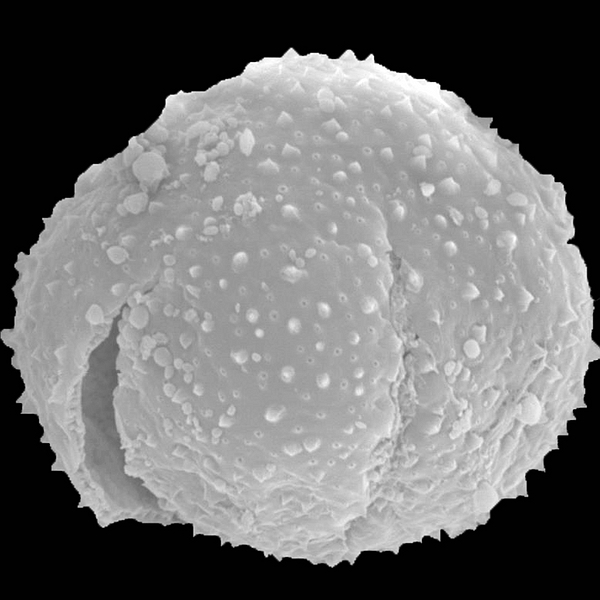 Pollen grain of Jasminocereus thouarsii var. 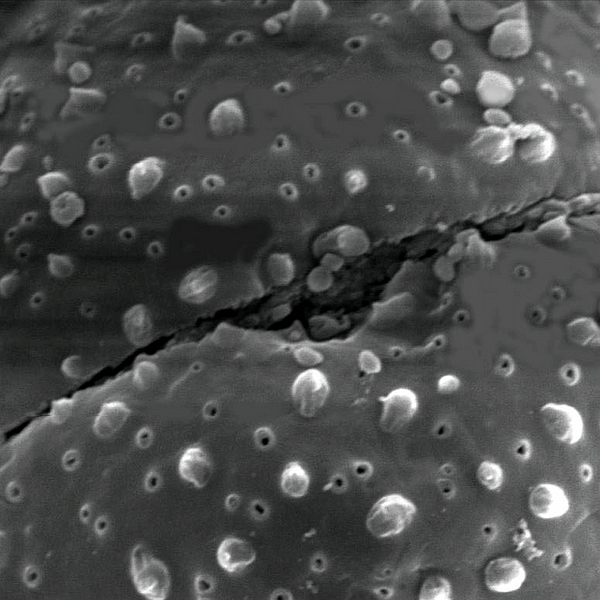 sclerocarpus (scanning electron micrograph). Photo: Patricia Jaramillo Díaz & M. Mar Trigo, CDF, 2011. An impressive columnar cactus that can grow up to 5m tall. The large flowers have white and yellow petals. The plum-sized fruits grow on the trunks and turn bright red when ripe. Lawesson, J.E. (s.a.) Pers. obs. field notes, collections 1985-7. Adsersen, H. (s.a.) Personal observations Charles Darwin Research Station, unpublished Manuscript. Anderson, E.F. Walkington, D.L. 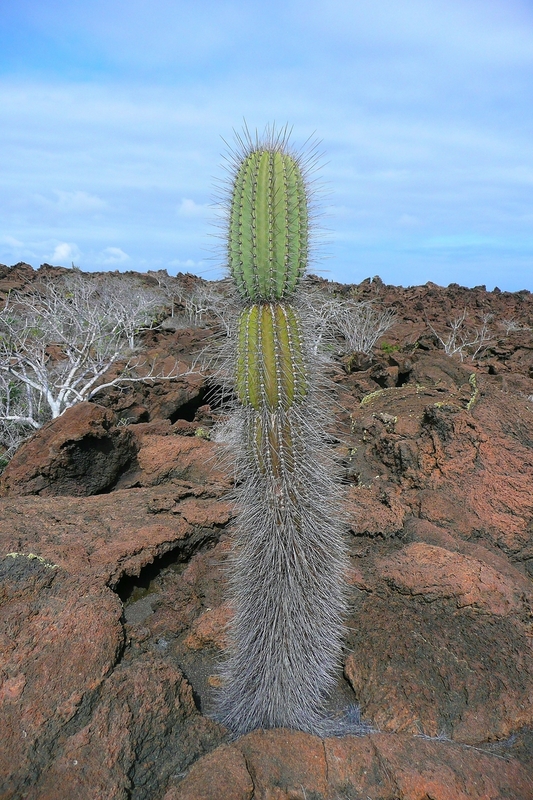 (1970) New Combinations and Taxa in the Cactaceae of the Galápagos Islands. Madroño 20(5): 256.